The EAB is a platform by which the experts in the domain of social media and emergency management can share their vision and expertise. They can give feedback and their advice is captured. The information provided is then used by the project team when drawing up various tasks and will form a vital cog in the overall project through a series of surveys, workshops, webinars over the course of the three year project. We are extremeley grateful to those experts who are spending time to assist us. Below the names of the experts are listed who attended the first workshop in Poznan in October 2014, hosted by our Polish partner CNBOP-PIB. The 2nd EAB Workshop was intended to present the current scientific and technical status of EmerGent. The workshop started with a discussion of different models for C2A Communication and EAB members worked in groups to identify advantages, disadvantages and possible solutions for each model. 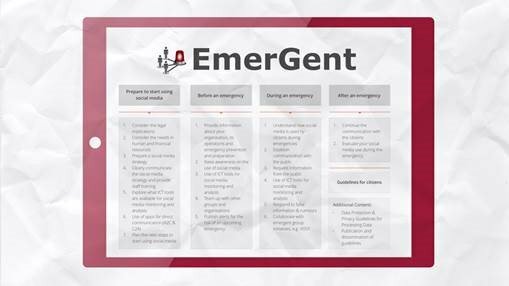 The group later focused on the definition of EmerGent alerts and on what makes an alert from social media, in addition to, how it can be categorised and classified in terms of urgency, severity, certainty etc. The factors for assessing the quality of information from social media were also examined. A demo of the first prototype of the Emergency Services interface was presented, which led the discussion on its’ functionality and how it can be used in practice. The discussion on the use of the EmerGent ICT solutions continued until the end of the workshop, when experts discussed and concentrated on their expectations from the guidelines for citizens and emergency services, on how to increase the benefit of social media in emergencies. 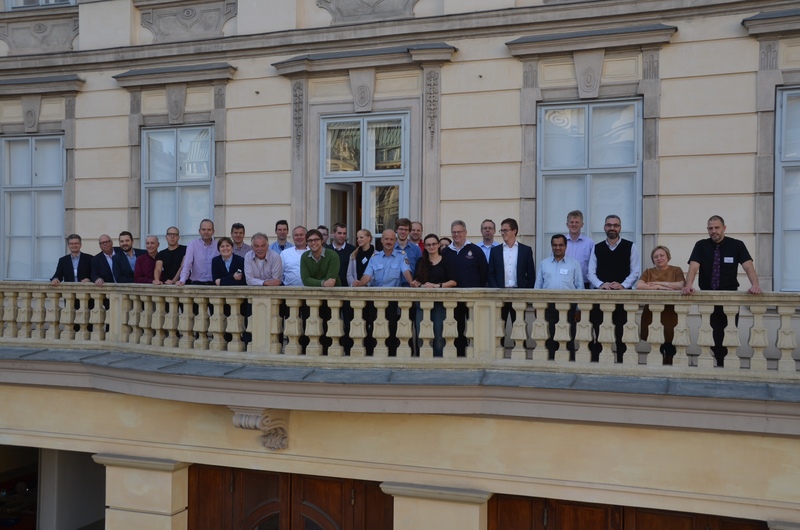 The EmerGent consortium would like to thank all EAB members for their valuable contributions. EmerGent will focus on extracting the conclusions of the workshop and how the results will drive the upcoming scientific and technical development activities of the project. 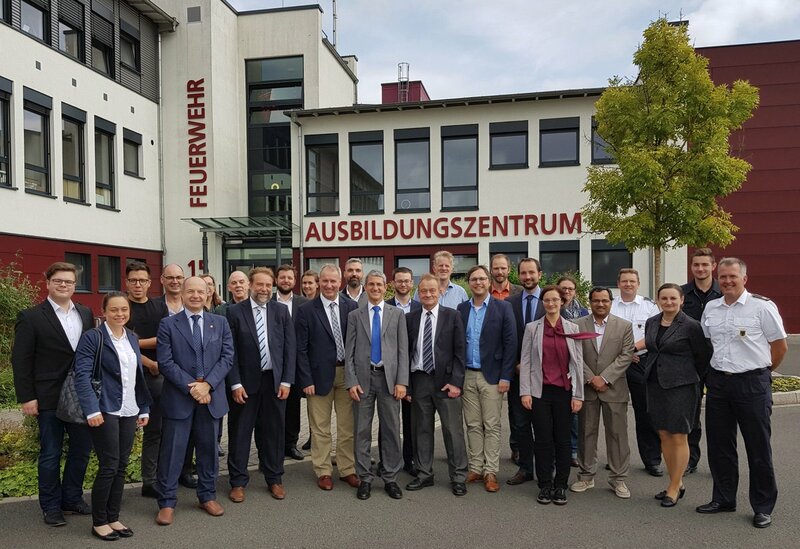 The 1st EAB workshop was intended to present the objectives of EmerGent and engage the experts in a discussion on the current work undergoing in the project. Experts discussed their own and Emergency Service staff attitudes, towards their individual and organisation’s current and future use of social media, as collected during the online survey conducted within EmerGent. This session started with the presentation of a real scenario using social media before, during and after a large storm in Antwerp, Belgium. Following the presentation of the beforehand prepared use cases of the system, experts worked in groups to validate and extend the use cases. The discussion of the use cases resulted in numerous end user requirements for the EmerGent system, which are included in the requirements specification document.